Another week, another challenging example of executive misconduct that ethics and compliance officers should consider. 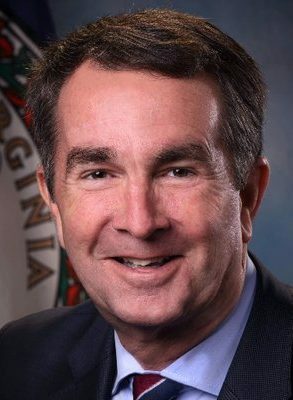 Our star this time around: Virginia governor Ralph Northam. Last week photos surfaced from Northam’s medical school yearbook, published in 1984. On one side of the page is Northam. On the other side is a photo of two unidentified men, one in blackface and the other dressed in the hood and robes of a Klansman. Is one of them Northam? That’s unclear. At first Northam apologized for the photo, which implies that one of those two dolts is him. Then on Saturday the governor held a press conference saying he was not one of those men, and had never seen the photos until last week because he never purchased a copy of his yearbook. Northam did, however, admit that once in the 1980s he wore blackface while impersonating Michael Jackson at a dance party. What’s the ethics and compliance point to ponder here? The need for leaders to follow a higher ethical standard, even when that standard doesn’t seem fair to them. Clearly demonstrated values are the second-most effective way to increase an employee’s trust in the company. The Edelman Trust Barometer surveys more than 33,000 people in 27 countries, so its findings are significant. Taken altogether, those numbers above tell us that employees yearn for organizations grounded in ethical values, and that leaders must put those values into practice in clear, visible ways. Employees yearn for organizations grounded in ethical values, and that leaders must put those values into practice in clear, visible ways. As individual employees and citizens, we all say as much constantly: leaders should be held to a higher standard. That’s the price for the rewards of leadership. So how should organizations respond when a really messy example of misconduct comes along? Whether Northam understands this or not, his refusal to resign follows the leadership strategy of another political figure we all know: President Trump. Time and again, we’ve seen Trump ignore high ethical standards that would typically push political leader to resign: after the Access Hollywood tapes, after his Charlottesville comments, after his supplication to Vladimir Putin at the Helsinki summit, after Michael Cohen directly implicated Trump in felony violations of campaign finance laws. Appreciate what Trump has been doing here: daring other bodies to hold him accountable to high ethical standards by force. Trump made a calculated bet that Republicans in Congress wouldn’t do it, and he was right. Northam seems to be trying the same gamble. If people truly believe that his behavior disqualifies him from being governor, then the Virginia legislature will need to force him out via impeachment. That is a terrible example of leadership. It’s the grubby, impulsive posture of a leader more interested in his own grip on power than in strong principles that guide larger institutions to greater purpose. Now consider the consequences of leadership like that. Exhibit A is anywhere in America: a country deeply divided against itself, politically self-segregating, with our appetite to tackle larger problems receding by the day as we bicker with each other on Twitter. Dysfunctional corporations are a lot like that; probably all of us have encountered that type of organization ourselves at some point in our career. Leaders who aren’t grounded in ethical principles don’t inspire trust among their constituents, and everything after that is an organization tarnished and diminished. Can some other governing body correct the course? Sure. Legislatures can impeach. Boards of directors can fire. But measure the cost of those efforts in money, time, acrimony, and distrust, and you can see why the better path is simply ethical leadership from the start. All of that brings us back to the lesson that I mentioned at the beginning: The need for leaders to follow a higher ethical standard, even when that standard doesn’t seem fair to them. It’s true for political figures and it’s true for CEOs. After all, Northam probably is not racist (at least, not in the deliberately malicious way of someone who dresses in KKK robes every weekend). He might even be correct that he never appeared in that photo and never saw it. He won the governorship of Virginia fairly, so from his perspective — why should he be held accountable for something he didn’t do? Because leaders need to follow a higher ethical standard, and sometimes that includes paying for a sin you did not commit. 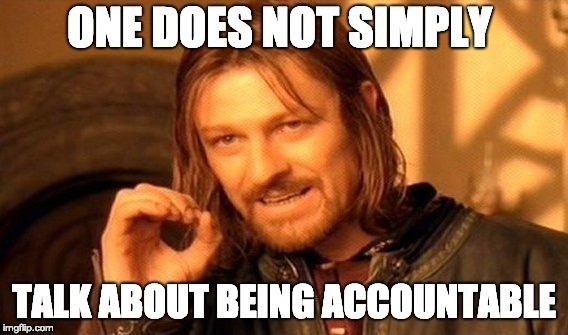 Otherwise the alternative is to put the whole institution through a grueling process of compelled accountability, which does nobody any good. In that respect, Northam isn’t much different than Supreme Court justice Brett Kavanaugh and the accusations that he sexually assaulted at least one woman when he was a teen. Are those allegations proven? No. Are they enough to disqualify Kavanaugh from the Supreme Court? Yes. Because when we depart from that higher ethical standard, all we have left is the raw exercise of power to force Kavanaugh onto the court — which is exactly what happened, and now Kavanaugh has stained the court’s reputation for years to come. It’s not so much whether allegations of misconduct disqualify Northam, Kavanaugh, and the like from executing the duties of public office. Northam is a reasonably good governor, Kavanaugh a reasonably good judge. The allegations disqualify the men from holding public office, regardless of their talents, because their presence is so divisive. That’s life as a leader. Let’s hope Northam recognizes that point before he drags Virginia through a reckoning it doesn’t need, and leaves one more set of institutions exhausted. We have enough of that stuff already.